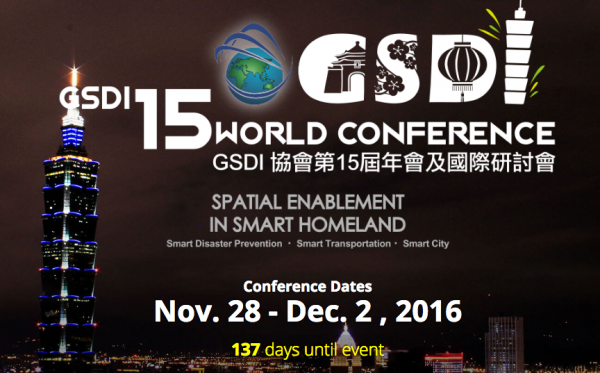 The 15th Global Spatial Data Infrastructure World Conference (GSDI 15) will be held in Taipei, Taiwan, Rep. of China, from 29 November to 2 December. A research team from Centre for Disaster Management and Public Safety will be participating, presenting and conducting a workshop at this important conference. The latest information and registration links are available from the official conference website at gsdi15.org.tw.